Shoot'N Star Ranch is a labor of love—the result of our original intent to find a place in the country where we could eventually retire. The place we finally found was made in heaven for our family. Half way between Austin and Houston and about three miles east of Burton, it had been a part of the original Moses and Stephen F. Austin land grant dating to the early 1820s. We still have barns and milk sheds on the ranch that date back to the 1850s—and a 1890's house that Kathy insisted was not a tear-down! We got into the Longhorn cattle business through a neighbor in Montgomery whose weekend ranch we would occasionally visit. 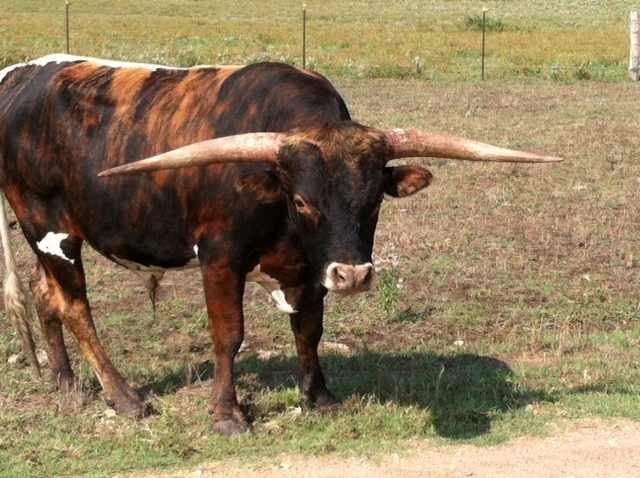 We were amazed at how calm and curious Craig's Longhorns were. 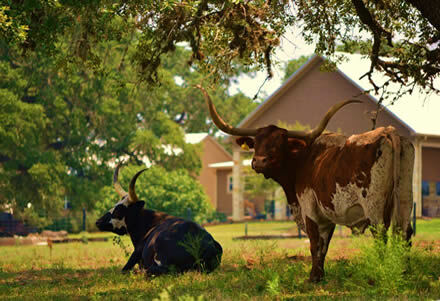 In 2004, we got our first "lawn ornaments," nine Longhorns that originated from the Ross Perot corporate herd located in Dallas. We were very blessed that our second herd sire, CS Ironman, was named Grand Champion Longhorn bull in the Houston Livestock Show & Rodeo. Ironman was also named Champion in Dallas, Denver, New Mexico, and Montana. At present our herds sire is SSR Deuguello and was 63" TTT at 29 months. He is out of Cowtown ST and River Run. We invite you to contact us, or stop by the Ranch if you're in the area.